We are glad you are interested in a hunting vacation in our beautiful Tyrol. The unique wilderness of Tyrol has a fauna and flora of its own! Very important are the hunters, who fulfill their daily duties and make sure that there is a balance in nature and that nature is preserved for the generations to come. Of course also the hunt itself is a part of it - and in Tyrol with all its different hunting areas, madows and pastures you can imagine that it is very diversified. 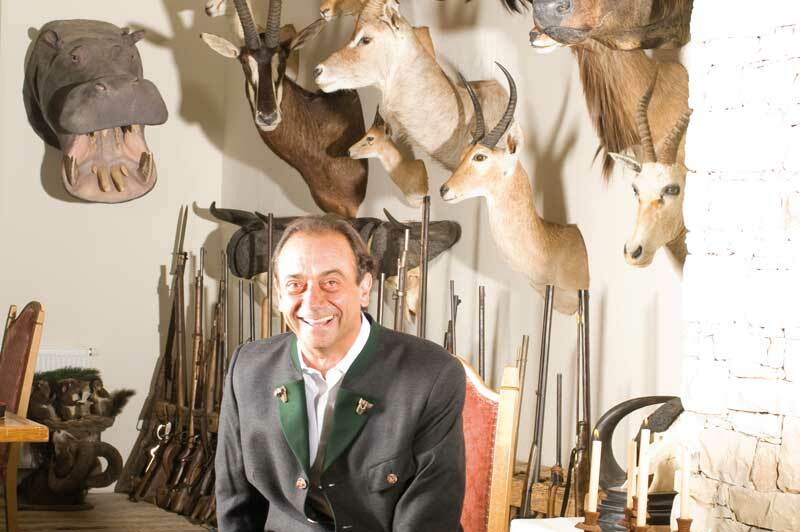 Luigi Marcati, who is a very passionate hunter invites his guests to get to know all facets of hunting in Tyrol. Together with his team of experienced gamekeepers and hunters you can very closely experience hunting and also how respectful we care of game and nature. In different hunting areas that can also be reached without exhausting walks, you are guaranteed unforgettable hunts. Of course, you are also offered a variety of possibilities aside hunting - Luigi Marcati also runs Hotel Lärchenhof****, Hotel Alpina *** and Apartment-Hotel Torri di Seefeld in order to assure his guests a comfortable and relaxing hunting vacation with culinary highlights and "glamorous hunting chats". Look forward to your unforgettable hunting vacation in Tyrol! Our alpine reserve is located at 1200 and 2500 meters. That is why we can offer the chamois hunt also to our elderly guests. In our reserves we provide different hunting huts, which can be used by the hunters (just hotel guests) free of charge.